The end of the year has been hectic, and I would forgive you if you missed a Bill Gertz article from earlier this month about preparations for an anti-satellite/missile defense test in China at the Korla Missile Test Base. I almost missed the story, but I’m especially glad that I didn’t. As we finally end 2016, it gives me the opportunity to talk about one of the highlights of the year for me: working with imagery from small satellites, in particular imagery from our friends at Planet Labs. test preparations for the Dong Neng-3 anti-satellite missile were detected at a military facility in central China. Satellite imagery should be able to confirm such details. I don’t have it in my budget at the moment to buy a high-resolution satellite image, but as it turns out I don’t need to buy high-resolution imagery for this purpose. Comparing moderate resolution images for changes can sufficiently show preparations for a test. The Gertz article specifies that preparations were observed at a military facility in central China. This could mean the Korla facility, which as I’ve written about before is the main test facility associated with the development of the DN-3 hit-to-kill vehicle. Perhaps I’m splitting hairs, but I don’t really consider Korla to be central China. However, we know from past tests that the test targets come from a launch facility near Jiuquan (41.280468°, 100.304501°), which seems much more like central China to me. The article is ambiguous in its phrasing. In this case I checked the Planet catalogue for imagery of both Korla and Jiuquan. The imagery at Korla is limited at the moment for the time frame I’m interested in. But there is plenty of imagery at Jiuquan in early December. (The most amazing thing about small satellites: Planet plans to have daily revisit rates for most of the globe, at which point this discussion will become rather antiquated). The more frequent imagery from Planet does confirm movement at the Jiuquan facility on and around December 9th. Gif from Planet Labs showing movement on the pad at the Jiuquan missile facility on and around 9 December 2016. Can you spot the change? Images from 1 December 2016, 9 December 2016, and 17 December 2016. Images ©2016 Planet Labs, Inc.
An item is visible in the bottom left corner of a Jiuquan launchpad on 9 December 2016. Image ©2016 Planet Labs, Inc. Although these 2-4 meter images are not quite good enough to observe vehicle details, they do allow one to see that there was movement on a launchpad that could be used for an interceptor test at Korla. Comparing the Planet imagery to even one high-resolution image increases confidence in this assessment. 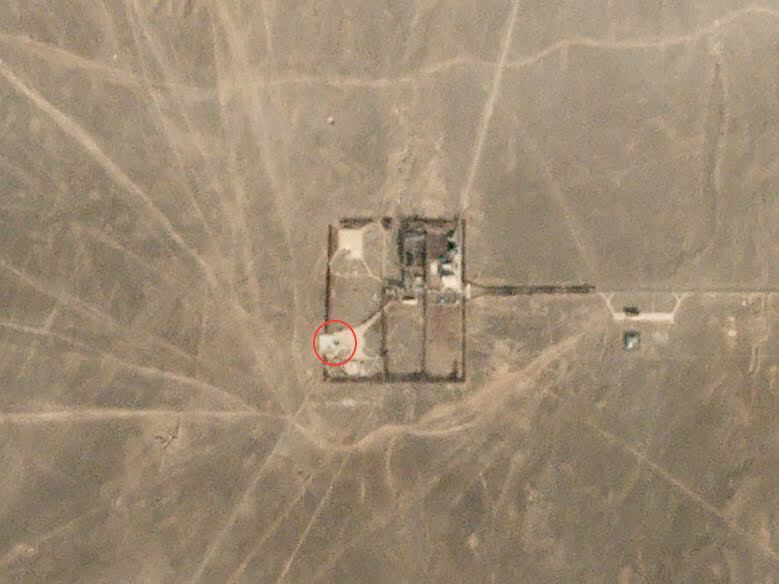 A 2014 image of a TEL on the same Jiuquan pad is in roughly the same location as the object visible in the Planet image from 9 December. The same launchpad in October 2014. Note the TEL clearly visible in the bottom left corner of the launchpad. Image from GoogleEarth. Of course we know now that a test did not occur in the window specified by NOTAMs, which could be for a variety of reasons, such as inclement or rapidly deteriorating weather. But whether the test occurred or not is irrelevant for my aim in this case, which is to confirm the detail about preparations in Gertz’s story. 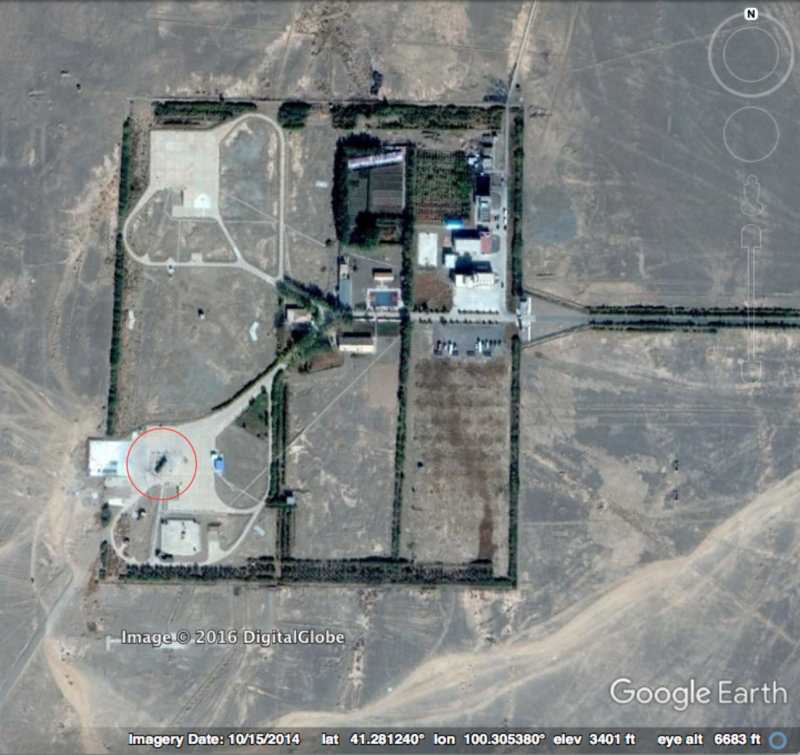 Planet imagery of the Jiuquan facility indicates that there was activity on the launchpad, possibly in the form of preparing a missile launcher for a test. Frequent imagery, even at a moderate resolution, is incredibly useful for tracking missile test preparations. Here’s to even more imagery from small satellites in 2017!